This manual uses material from The Tibetan Book of the Dead for this preparation. The authors also make an important contribution to the interpretation of The Tibetan Book of the Dead. They show that it is concerned not with the dead, but with the living. The last section of the manual provides instructions for an actual psychedelic session, under adequate safeguards. The a This manual uses material from The Tibetan Book of the Dead for this preparation. The authors also make an important contribution to the interpretation of The Tibetan Book of the Dead. They show that it is concerned not with the dead, but with the living. The last section of the manual provides instructions for an actual psychedelic session, under adequate safeguards. To ask other readers questions about The Psychedelic Experience, please sign up. Timothy Leary gets hate from all sides. He gets hate from squares for the obvious reasons. But he also gets hate from hippies, heads, and others who might form his own community because they somehow feel as if he gives them a bad image. Because mainstream academics don't take Leary seriously, his audience wants to distance themselves from his name. However, Leary deserves credit as a fearless pioneer. I found myself totally immersed in understanding with this book, but at the same time I felt som Timothy Leary gets hate from all sides. He gets hate from squares for the obvious reasons. But he also gets hate from hippies, heads, and others who might form his own community because they somehow feel as if he gives them a bad image. Because mainstream academics don't take Leary seriously, his audience wants to distance themselves from his name. However, Leary deserves credit as a fearless pioneer. I found myself totally immersed in understanding with this book, but at the same time I felt some aversion just because of who wrote it. But Leary gave up everything to try to help the world. And he did not believe that statement to be hyperbole. He used the language he felt best described the indescribable. The tradition of the shaman had been totally eradicated from the American landscape and Leary was starting from scratch with something totally new and foreign. No wonder Leary refused to speak to Ken Kesey when he showed up at the house. Leary > Kesey, by a lot. While Kesey’s kind of an idiot, Leary is brilliant, creative, original, inspiring. Kesey is a selfish hedonist, kind of a terror of a Jack Russell terrier, whereas Leary is a serene, sincere, wise, generous-souled therapy dog. Even reading this book while not on psychedelics was such a calming, reassuring, nurturing, and immersive experience that made me feel connected and serene and mindful. No wonder Leary refused to speak to Ken Kesey when he showed up at the house. Leary > Kesey, by a lot. While Kesey’s kind of an idiot, Leary is brilliant, creative, original, inspiring. Kesey is a selfish hedonist, kind of a terror of a Jack Russell terrier, whereas Leary is a serene, sincere, wise, generous-souled therapy dog. Even reading this book while not on psychedelics was such a calming, reassuring, nurturing, and immersive experience that made me feel connected and serene and mindful. You must remember that at the very worst, you will end up the same person who entered the experience. Whether you experience heaven or hell, remember that it is your mind which creates them. Avoid grasping the one or fleeing the other. Avoid imposing the ego game on the experience. I have to admit, this book leaves me wanting to be a better person. I don't want the drama of acid, but I'm all for the journey of self discovery. As I read through the last section, I found myself wondering if I was capable of meditating to the extent of ego-death. I also pondered recording the guides and meditating "on" them. Somehow that seems like cheating. So, that's the good part. The bad part is that I basically had to use the techniques (hold on, don't think) to get through this book. It I have to admit, this book leaves me wanting to be a better person. I don't want the drama of acid, but I'm all for the journey of self discovery. As I read through the last section, I found myself wondering if I was capable of meditating to the extent of ego-death. I also pondered recording the guides and meditating "on" them. Somehow that seems like cheating. So, that's the good part. The bad part is that I basically had to use the techniques (hold on, don't think) to get through this book. It was assigned reading for a class and I was very excited to read it...but once I started, I just didn't care. Maybe I am addicted to fiction, or maybe (like a previous reviewer said) Leary's writing style is downright pretentious. Once I got into the "flow" of the book, I did alright, but I have to admit: 1) I probably would not have stuck it out on my own, and 2) As someone who has not done LSD or been near-death, I don't think I really grasped what he was getting at. Midway through the book I watched a show on LSD, which wasn't particulary eye-opening, but it did set the tone for the rest of the book. I couldn't help but thinking, "wow, this used to be legal." Leary wrote this as a guide because he wanted to help people through the process. I grew up in the "just say no" era, so it's hard for me to understand the culture. I have known many-a-drug-user, but at least they knew they had to hide it. Leary truely believed this was the gateway to the meaning of life. Maybe he was right...maybe he was tripping. A guide for the use of psychedelics for an enlightenment, ego-release, or spiritual purpose based on the Tibetan Book of the Dead. I have had such expansive and enlightening experiences in my life. These came through and to me in Divine Love and was without outer guidance of any sort. While I like the idea of this book existing for those who do not fully trust the path within, their higher consciousness, and All That Is, I found that most of what it was saying was unnecessary for me to read, as I have already passed through or beyond such “phases” in said, and other, experiences. However, I did like his mention of physically closing your ears to listen to the sounds that your body-processes make-that was a really interesting “meditation” that hasn’t occurred to me since childhood. I also like that he prepares you for simply flowing, rather than trying to grasp or interpret meanings until after the session, which I think enables you to have a clearer, more profound experience, and that he mentions grounding your body into the floor or the earth whenever it is necessary for you. I would like to someday have a guided or tribal setting experience with a harmonious community I trust, though this isn’t the book I’d want to have read to me, it could be a helpful aid to those who are deeply invested in ego games (as he describes it:”‘Games’ are behavioral sequences defined by roles, rules, rituals, goals, strategies, values, language, characteristic space-time locations and characteristic patterns of movement. Any behavior not having these nine features is non-game: this includes physiological reflexes, spontaneous play, and transcendent awareness.”) who are ready for a deeper life, though I think it would be enough to simply set up in a loving environment, and know that fear is never the way. Note: I think a book like "The Power of Now" or "A New Earth" by Eckhart Tolle would be something wonderful to read in preparation instead of Timothy Leary's "The Psychedelic Experience", because it teaches ego-death, as well as "Nonresistance, Nonjudgement, Nonattachment" which are perfect "practices" to take into any instance of life, and he gives examples and other teachings that work in both a psychedelic and general life setting. These were the books that significantly brought awareness into my life. I should have read the Tibetan Book of the Dead before reading this. In saying that, as a stand-alone piece of work 'The Psychedelic Experience' seemed more woo-woo than substance. My expectations were more along the lines of a 'psychedelic how-to' - touching base on the benefits of these drugs on cognitive function and spirituality. It didn't live up to these expectations. "Whenever in doubt, turn off your mind, relax, float downstream." I have not taken nor will I ever take drugs, but I've been interested in examining this book for a while since I'm a student of 1960's rock music. John Lennon took the quoted line for the song "Tomorrow Never Knows," and from what I've seen the book was pervasively influential among the counterculture. The book is simply atrocious. Remember all those stereotypical hippie things you see in films where they sit and meditate saying bu "Whenever in doubt, turn off your mind, relax, float downstream." I wasn't high enough for this book. I feel like if I was super high on acid I would have appreciated this book more. It was interesting, but I feel a lot of it is impossible to absorb without the proper experience behind it. – Part I: The Primary Clear Light Seen At the Moment of Ego-Loss. – – Vision 6: "The Retinal Circus"
– – Vision 7: "The Magic Theatre"
– Instructions for Vision 6: "The Retinal Circus"
– Instructions for Vision 7: "The Magic Theatre"
The Tibetan Book of the Dead but adapted for ego-death. A condition very similar to near-death experiences (NDE) which is what you can achieve with high doses of psychedelics or just DMT, which doesn't lend itself to a trippy afternoon, but yanks you straight to ego-death. Does anybody need a manual for this? Nah, not at all, in fact, one could argue that with psychedelics everybody can have a profound illuminating experience such as that without years of spiritual or meditative training. However The Tibetan Book of the Dead but adapted for ego-death. A condition very similar to near-death experiences (NDE) which is what you can achieve with high doses of psychedelics or just DMT, which doesn't lend itself to a trippy afternoon, but yanks you straight to ego-death. Does anybody need a manual for this? Nah, not at all, in fact, one could argue that with psychedelics everybody can have a profound illuminating experience such as that without years of spiritual or meditative training. However, as a good meditation guide, it can help maintain the ego-less condition, and steer the tripper in the right direction away from fearful or overly distractive visions. Following the Tibetan terminology, the egoless condition, enlightenment, or the Void is experienced in the First Bardo. The 'karma' here is, of course, to be understood psychologically, no need of superstition. Bad karma is what the book calls heavy ego-games, it has, for example, more impact on the psyche when you murdered somebody than good karma if you helped somebody, and is, therefore, harder to let go. When the hallucinations of the Second Bardo, positive or negative become too much for the ego to resist, or just when the drugs are worn out :P the voyager falls back to the Third Bardo, The Seeking Of Rebirth. Here we can experience feelings of ESP, superhuman powers, confusion, crazy sexual desires, lifeless robot bodies, ... Now we must return safely and not get caught up in previous distressing ego-games. At last, the book covers some practical issues like drug dosages, set and setting. Nowadays, and in the past, people thought Tim Leary was wrong. Also, I gave this manual an extra star because he said some stuff I hadn't really seen anywhere else yet. So I boosted the score to make it seem a little better than it is which could make more people read it. By that logic, should everyone read this even though those not into the subject will most likely find it nonsensical and silly? People can go their entire lives without having a psychedelic experience, which would be akin to nev Nowadays, and in the past, people thought Tim Leary was wrong. People can go their entire lives without having a psychedelic experience, which would be akin to never having loved or had a sexual experience, or anything like that. You don't need them, apparently, but at the very least they are interesting and can lead to development. So you arguably don't have to experience any of it to be enlightened. Do you really need all points of view and details? It mainly says that all the visuals you see (probably, particularly during a DMT session or 500+ microgram LSD dose) are just the lower lights - as far as the human mind can go. Any more intense or strange than that is just death. You aren't human anymore. Boom. It's real stuff! And also, the entities. Marijuana is a mild psychedelic. You can get slight, closed eye visuals and patterns with it, ranging from mathematical girds to strange characters, although they aren't exactly animated or alive. With psychedelics such as acid, DMT, or psilocybin, you can get straight, overt alien contact. Or, sentient intelligent life form contact. Sometimes they are humanoids. There are other people there already when you get stoned enough and arrive at the place. In this book it is hypothesized they are human ancestors, in strange form. It doesn't necessarily mean you'll meet your deceased aunt there. But it's the universal life form spirit. I don't necessarily agree that it's all in your head. But saying that helps one stay calm so they don't freak out, a risk which happens when certain people get too stoned off psychedelics. I would urge smart enough people to try it at least once or so, if they need a challenge or if they have any input on what is actually going on in this thing we call life. An interesting book that, more than the average literature, is more personal than it should be. It sets itself out as a fairly objective manual - and, for the record, it still acts like it - for a typically-regarded-as-subjective experience. The initial premise, i.e. using the teachings of The Tibetan Book of the Dead as proxy for a psychedelic substance intake guide, is as valid as any other for a report or an interpretation, but if you do not feel as deep of a connection as the authors with th An interesting book that, more than the average literature, is more personal than it should be. It sets itself out as a fairly objective manual - and, for the record, it still acts like it - for a typically-regarded-as-subjective experience. The initial premise, i.e. 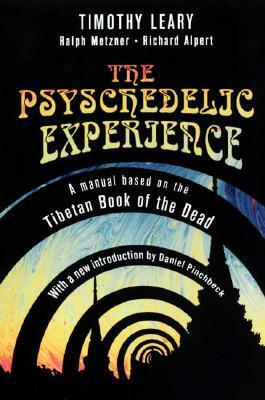 using the teachings of The Tibetan Book of the Dead as proxy for a psychedelic substance intake guide, is as valid as any other for a report or an interpretation, but if you do not feel as deep of a connection as the authors with the Buddhist esoteric rationale, the book is bound to lose its meaningfulness. And to be fair, one has to wonder, especially considering that Timothy Leary's first experience with psychedelics was in the meso-American region, why did he not base his teachings on the folklore surrounding psychedelics of that region, going instead for the much more accessible and pop-esoteric Buddhist teachings. Interesting in concept, arrogant and anglocentric in actuality. Timothy Leary presents important techniques and ideas for attaining meaningful experiences on psychedelics and the psychedelic experience, but has the audacity to claim that psychedelics are some kind "cheat code" that bypasses years of spiritual study and practice. His tone towards eastern cultures and their spiritual practices carries a condescending tone throughout the reading, and his attitude comes of as blinded excitement at b Interesting in concept, arrogant and anglocentric in actuality. Timothy Leary presents important techniques and ideas for attaining meaningful experiences on psychedelics and the psychedelic experience, but has the audacity to claim that psychedelics are some kind "cheat code" that bypasses years of spiritual study and practice. His tone towards eastern cultures and their spiritual practices carries a condescending tone throughout the reading, and his attitude comes of as blinded excitement at best, patronizing appropriation at worst. This book will not make any sense to the ones unfamiliar with psychedelic experience and/or the teachings of Buddhism. For the rest: it’s invaluable guide that needs to be read and reread on occasion until it’s stuck in your brain. Listened as an audiobook, going to buy a paper and electronic versions too: it should always be as approachable as possible. This book is an interesting look at the mind set in the 60's established by Leary and others. I think the new introduction offers a lot of perspective 40 years later and really sets the stage for the writings of Leary and so forth. 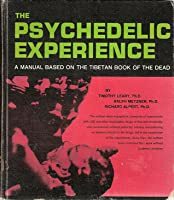 This definitely has made me want to read the actually Tibetan Book of the Dead and to really see how they adapted their psychedelic experiences to those teachings. delightful. You suddenly wake up from the delusion of separate form and hook up to the cosmic dance.